Controlled natural ventilation (CNV) improves indoor air and provides thermal comfort. CNV offers an environmentally friendly, healthy, cost-effective and contemporary alternative to air-conditioning systems and other mechanical ventilation systems. Manage the supply of fresh air with intelligent ventilation solutions from D+H and create a healthy living and working environment. Henninger Tower is one of the tallest, most beautiful residential towers in Germany and a new landmark in Frankfurt. Construction on the new residential tower on the grounds of the Henninger Brewery in the Sachsenhausen district of Frankfurt is expected to finish in spring of 2017. The architectural firm MEIXNER, SCHLÜTER, WENDT drafted the design for the building. The ventilation solution has been implemented by D+H. Our intelligent system solutions are tuned to work together and enable outstanding ventilation and optimal noise dampening. The GVL-M Series ventilation control panel responds automatically to weather station data. CDC Series drives effortlessly lock and unlock the parallel projecting windows. VDC Series drives also move ventilation flaps on the skylight windows. 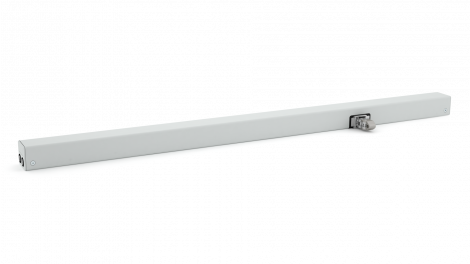 The concealed VCD 203/250 chain drive effortlessly opens and closes the ventilation flaps on the skylight windows. The result is a supply of cool, healthy outdoor air that replaces hot, stale indoor air. Integrated CDC 200/350-BSY+ chain drives move the parallel projecting windows forward and back. VLD Series lock drives reliably lock and unlock the windows as needed. Awarded the International Iconic Award 2015 for visionary architecture, the building towers to a height of 140 m and provides more than 200 flats. State-of-the-art ventilation solutions from D+H provide a perfect living environment in a sophisticated urban space. The D+H ventilation solutions for the Henninger Tower have been used to implement the highest aesthetic demands using a technology that has minimal impact on visuals. A customized yet cost-efficient system solution for urban residential architecture with a sophisticated façade design. "In addition to the qualities the Henninger Tower boasts as a symbol of commemoration and identity, the new building is also a contemporary, one-of-a-kind high-rise apartment tower. One aspect of the building's charm is in the façade structure, which consists of balconies and conservatories." Quality schooling needs quality air. A long break for bad air. Best marks for ventilation with D+H. The adoption of school reform in Germany is making the period to obtain a diploma shorter, but often leaves students in German classrooms burning the candle at both ends. High time to help students keep cool under the pressure in schools, universities and other educational institutions. Several studies show that quality air is critical for efficient learning and focused work. 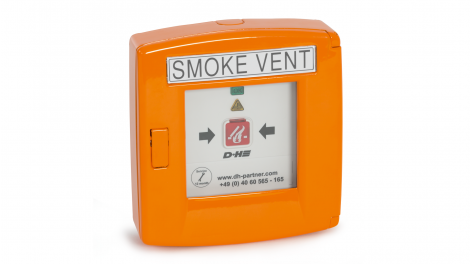 And ventilation solutions from D+H are critical for high-quality air. The graphic shows an example controller set-up for three classrooms. The Ventilation Controller (VC) is the control panel of the controller. 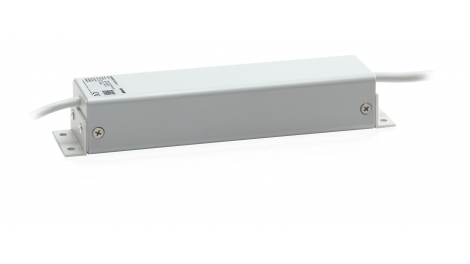 The VC connects to the motor controllers (MC) that manage window opening and closing in the rooms, as well as other components such as various optional sensors, a weather station and a touch panel. Mind-boggling bookwork is simply an everyday part of school. You can implement the solutions from D+H to provide fresh, clean air for students despite the headache from intense studying. Our individualized ventilation strategy opens and closes all windows with perfect positioning based on the indoor and outdoor temperatures. In the absence of wind pressure or differences in temperature, exhaust fans start automatically, allowing the windows to serve as elements for supplying air. The air starts to circulate as soon as the windows are opened on one side of the room. Because the amount of air exchange is limited, it only works in small rooms. Ventilation is provided by windows on two or more sides of the building using differences in wind pressure along the façade. This allows fresh air to quickly reach large, deep rooms. Ventilation is provided by motorised windows combined with exhaust fans. This provides fresh air even in rooms with particularly complex climatic conditions.